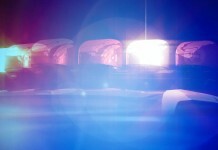 On Wednesday, April 17, 2019, at 12:30 a.m. Texarkana Arkansas Police responded to 2225 East Street, Village Park South Apartments, in reference to a shooting. Upon officers’ arrival to the scene, it was determined victim, 18-year-old Jaqualyn Paxton, suffered a gunshot wound and was being transported by friends to a local hospital. Paxton later succumbed to her injuries and did not survive. The suspect, 19-year-old Markelle Davis, was located by officers and Miller County Deputies moments after leaving the scene. Detectives determined an altercation ensued between Paxton and Davis in the parking lot of the complex when Paxton was shot. Davis has been arrested and charged with 1st Degree Murder. This investigation is ongoing.